It took very little time in the end. In fact, it was probably rather easy to do. 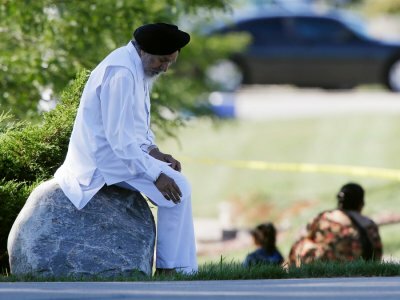 One gunman and a crowded Gurdwara in Oak Creek, Wisconsin, and before anyone could absorb what was happening to them six lives were lost, including a police officer and the gunman himself. We live in an era when life is taken so cheaply. You can buy a weapon at K-Mart just before you get your milk and newspaper, get into your car, and inflict terrible pain at will. Part of that pain for the Sikh community of Oak Creek this week is not truly knowing why such an atrocious act of violence was carried out in the first place. Of course, many have pointed to the attacks on Sikhs that took place following 9/11 and the links that the Wisconsin killer may have had to far-right groups. All of this is worth examining carefully, yet what is equally worth our care and attention is the kind of questions that rise to the surface when tragedy like this strikes. In many ways, the Sikh community, as a community of faith, holds to a very American kind of tradition, namely a certain celebration of difference and a deep respect for the myriad of paths that lead to the divine. At times, quite frankly, for those who look at America from the outside, such a celebration of difference is hard to see. Yet, deep in its DNA, this is a country that is founded and has been formed as a nation that seeks to celebrate the breadth not the narrowness of humankind. As with the life of an individual, there are times when the life of a nation needs reminding of its true nature. America is an internationalist idea. It was the world’s first true global village, the land that would re-imagine for the peoples of the world what it might be to live in freedom. It is this need for us to remember this vocation to have room for difference, which is indeed the vocation of any community, that convinces me that what is currently taking place in London is a timely reminder of that internationalist dream. In short, we need the Olympics. We need to remind ourselves, most especially those of us who are caught in a narrow-minded, myopic view of the human family, that we are part of something bigger. 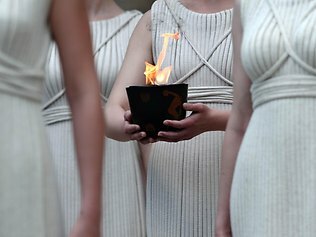 The Olympics, for all of its show, is still one of the best chances that we have of expressing on a global scale the simple human doctrine that we are better together than apart, better learning from the breadth that the human family embodies than living in naval-gazing isolation. 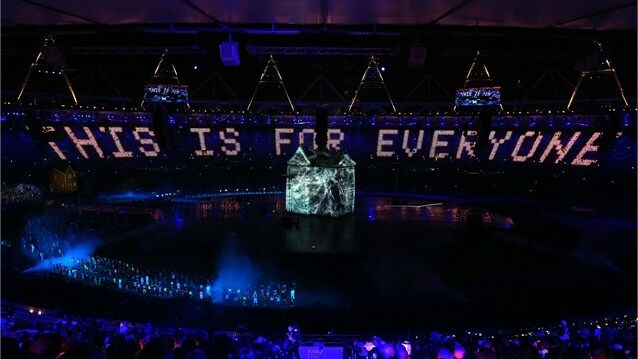 We need the Olympics to remind ourselves that we need each other, as indeed the Danny Boyle spectacular at the opening ceremony sought to communicate. So often, the debate that follows terrible incidents of gun violence focuses on what some people want to take away – guns – and what others want to retain the freedom to bear. Perhaps America is due another kind of debate that is concerned less with what might or might not be taken away, but with what might be added. Multiculturalism, pronounced dead by German Chancellor, Angela Merkel, last October, is not a politician’s mandate but an endeavor that we all need to play a part in. 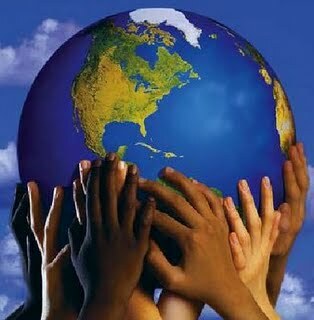 Let us teach our children about the wide palate of American and global society. Let us teach one another about what makes us distinct from one another as well as what makes us the same. And let us marvel at the breadth of God’s creation and the boundless capacity that we each inhabit to birth mystery into the world. 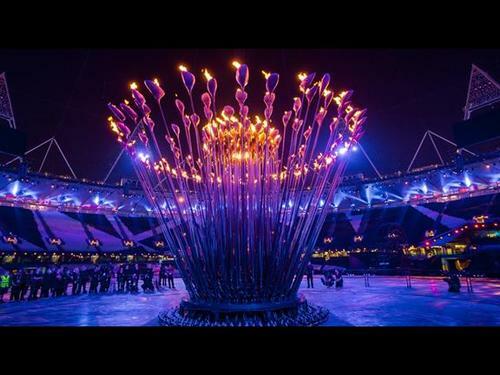 So, yes, we do need the Olympics, and we do need reminding of the better angels of our nature, not just for the sake of those who died in Oak Creek last Sunday but for the sake of all of us who are left to carry the torch.